Pictured above: Don Theisen, Washington County Public Works Director, and Bob Janssen, President and Principal Engineer at Braun Intertec. Congratulations to Bob Janssen, President of Braun Intertec, for receiving the “Friend of Minnesota Counties Award” from the Minnesota County Engineers Association (MCEA), an association of county engineers from each of Minnesota’s 87 counties who work to promote their profession and uphold the engineering code of ethics. 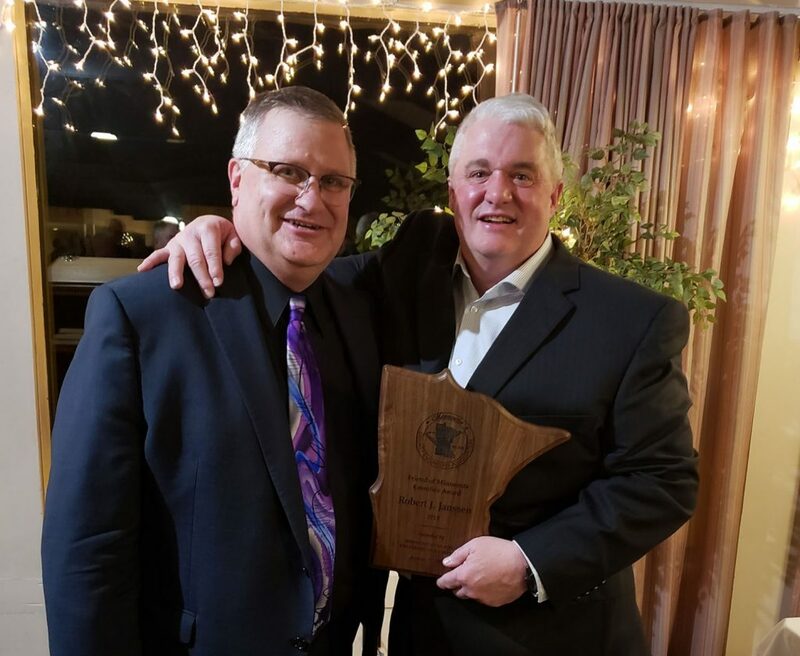 The “Friend of Minnesota Counties Award” is presented at the MCEA Annual Banquet to an individual who upholds the engineering code of ethics and has served Minnesota counties with excellence in supporting transportation endeavors and projects. As President and a Principal Engineer at Braun Intertec, Bob has been a leader in this company for over 30 years. His many years in this field have given him the expertise and knowledge to provide exceptional client service that is valued by colleagues, peers and partner agencies. Congratulations Bob and thank you for your dedicated service to Minnesota’s county engineers as well as to Braun Intertec!